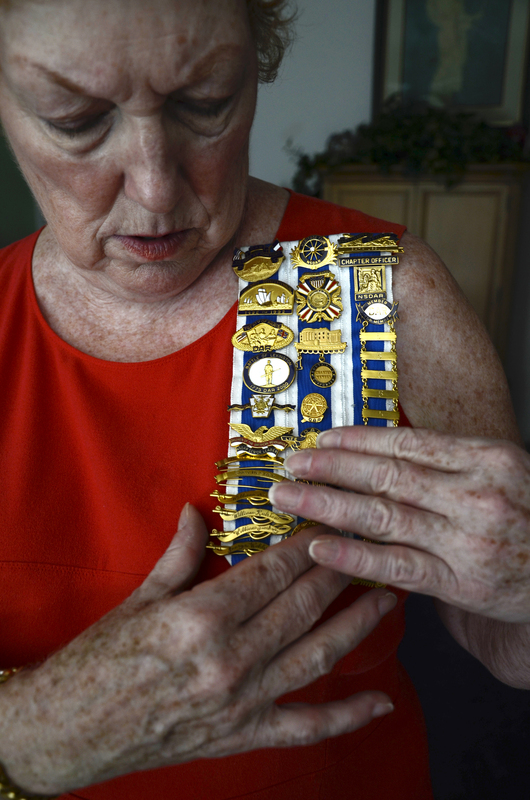 Mary Lou McFate proudly displays her collection of Daughters of the American Revolution pins, which include the names of her family members who participated in the Revolutionary War. “Patriotism is being sacrificial. For those in the military, for the rest of us general, we are being sacrificial by showing our flag every day or on a holiday to go downtown to see a parade and thank military for their service. It’s doing things for other people. We’re all proud to be Americans,” she said. Published March 4, 2016 at 2448 × 3696 in Singles Portfolio.